Removes loose cat’s hair, preventing the formation of hairballs. 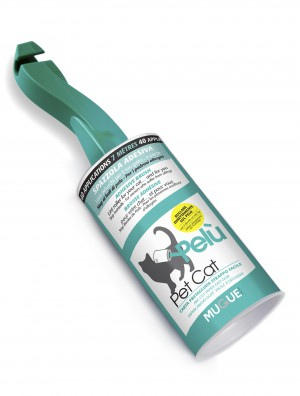 Removes residues of dandruff from the hair of cats, eliminating the allergens they contain. Keeps cat’s fur cleaned and shiny. Releases pleasantly perfumed plant essential oils on the treated part, which are agreeable to feline sense of smell, which encourage the maintenance of a healthy coat. with the addition of pure essential oils such as Lavender, Lemon and Thyme. Length: 7 meters, more than 40 perforated adhesive sheets.